The former Union minister appealed to farmers distressed by repeated spells of drought and crop failures not to think of ending their lives. 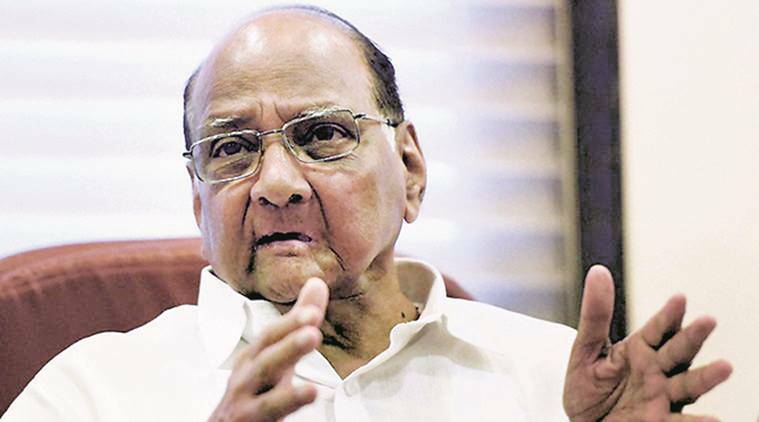 NCP President Sharad Pawar on Friday said suicide is not a solution to hardships in life and urged distressed farmers to desist from taking this path and instead draw inspiration from the life of Maharashtra’s first Chief Minister Yeshwantrao Chavan. Speaking at a function organised to mark the 32nd death anniversary of Chavan here, the former Union Agriculture Minister said suicide indicates loss of self confidence and appealed to farmers distressed by repeated spells of drought and crop failures not to think of ending their lives. “Chavan saheb came from a humble background in the perennially drought-prone area of Satara district. This area has given stalwarts like litterateur G D Madgulkar, former Chief Minister Vasantdada Patil and freedom fighter Nana Patil. They were extraordinary people. “Farmers, too, should take inspiration from the lives of these great leaders and learn that suicide is not the way to end hardships in life,” he said. On the occasion, Pratapshet Salunke, head of Shalimar brand of jewellery, was honoured with the Y B Chavan Award. Pawar said Salunke also hails from drought prone Satara and despite his humble origins he made it big in the gold refinery and jewellery business. “Chavan saheb’s vision and capabilities helped in building a modern Maharashtra,” said Pawar, himself a former Chief Minister of the State. Chavan held crucial portfolios like defence during his stint in the Central Government and carried out his responsibilities with efficiency, Pawar said. Nandan Nilekani, Infosys co-founder and former Chairman of the Unique Identification Authority of India, will be given the national award set up in the memory of Chavan on his birth anniversary on March 12.